Realm of Wonder is a board game where players fight to save the King and his kingdom. Or, a player can also win the game by claiming the throne for themselves. Each of the six characters in the game have their own, individual abilities. 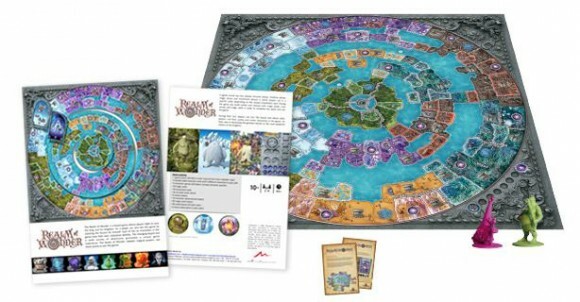 The changing board and a wide variety of adventures guarantee a unique game experience. Realm of Wonder radiates magical powers: use them wisely to win the game! Add a Review for "Realm of Wonder"